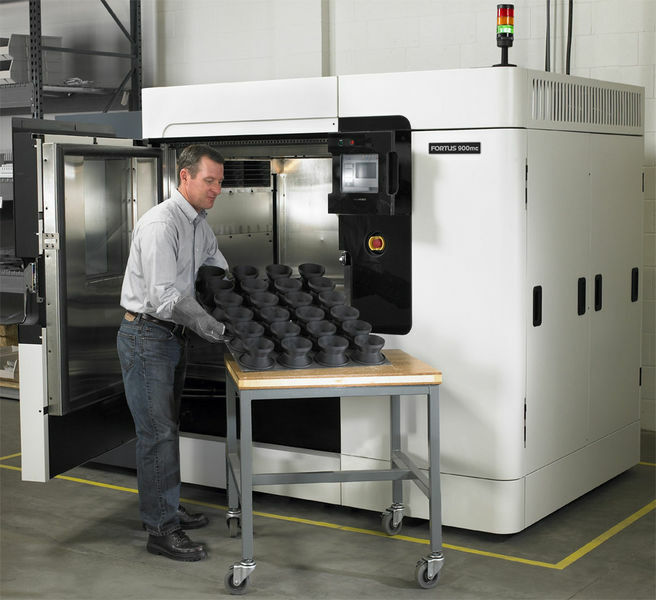 Two big advantages: all the material options of the Fortus line of 3D Production Systems (now including Nylon 12), along with a massive build envelope. Its only competition is the old way of doing things. Part tolerances distinguish the Fortus 900mc from other 3D systems. 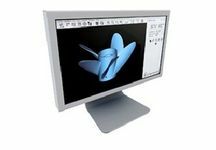 Designed and manufactured for the highest accuracy and repeatability, the Fortus 900mc speeds up conceptual modelling and functional prototyping while allowing for multiple iterations. The Fortus 900mc 3D Production System also has the highest throughput and envelope volume, making it appropriate for fabrication and assembly tools, as well as end-use parts. 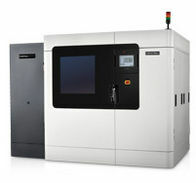 The Stratasys Fortus 900mc Acceleration Kit reduces time and cost for 3D printing large parts in ASA and ULTEM 1010 materials - Producing the large composite parts and associated tooling typically used in aerospace, automotive and similar applications can take several weeks to many months for fabrication. 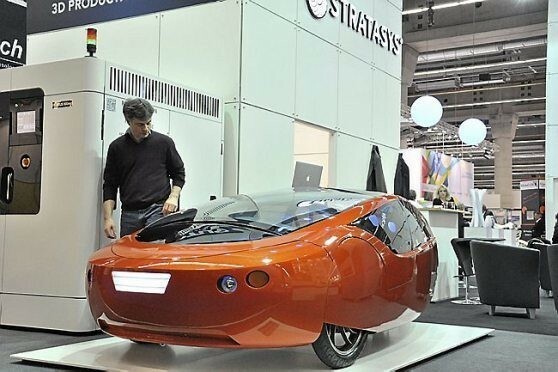 To reduce production time and costs, Stratasys has developed the Fortus 900mc Acceleration Kit. This new solution allows very large tools to be 3D printed up to three times faster in ASA and ULTEM 1010 materials. The Fortus 900mc industrial 3D printer builds durable, accurate, repeatable parts as large as 914 x 610 x 914 mm (36 x 24 x 36 in). With a multitude of material options, it’s suitable for building fixtures, factory tooling & end-use parts, as well as the most demanding 3D prototyping. This machine features dual material bays for maximum uninterrupted production. 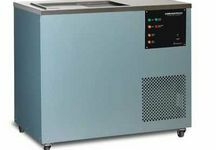 Materials include high-performance thermoplastics for bio-compatibility, static dissipation & resistance to heat or chemicals. With three layer thicknesses to choose from, you can strike just the right balance between fine feature detail and FDM’s fastest build. Fortus 900mc throughput is more than twice that of the Fortus 250mc.